Yes, you all heard it right. It is Indeed Party Party with EXO- SPECIAL all Night long. Everyone it's time for us to all to grab on our dancing shoes, get those shots down your throat and be ready to party all night. 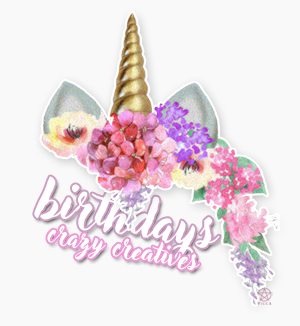 Today 9th February, we have a very special member from Crazy Creative celebrating her birthday. So put on your thinking hats and here we go..
She is one of the most valued, experienced and an old recruit of the Crazy Creatives. She is the Lightsaber of CC and is often seen together Leprechaun. She LOVES EXO to Infinity and Suho is her Ultimate Bias. Apart from EXO, her Fave includes SwaSan, PKYEK and she also loves and enjoys watching K-Dramas. (Formally starting off by wishing you) Wish you many more happy returns of the day. Have a great day and an awesome year ahead. I hope this year will you yours Stay healthy and happy! Always and forever! May God bless you and fulfill all your wishes!!! and I know iske piche kahi na kahi eddie ka hath hai..
thank you so much everyone..